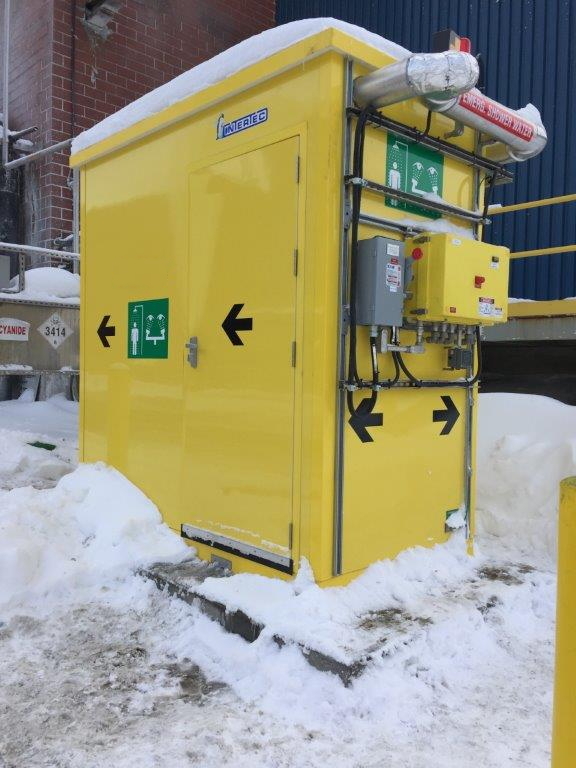 February 3, 2017 --- Today, Intertec launches a range of enclosed emergency safety showers for use in harsh outdoor environments. 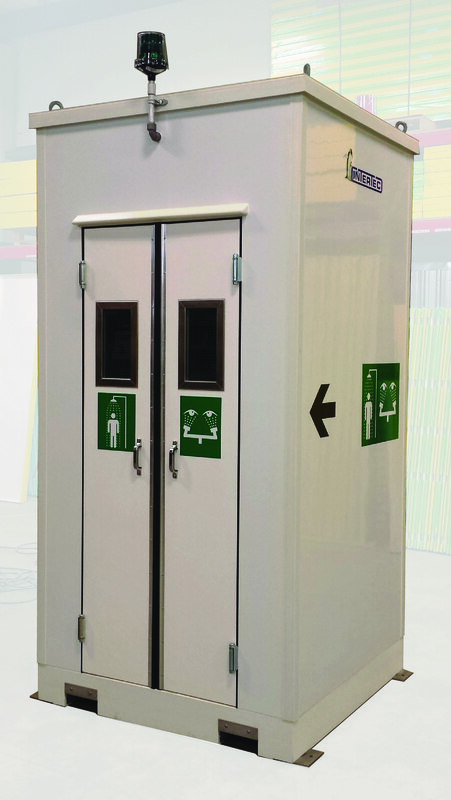 The emergency safety showers (ESSs) are integrated into shelters made from advanced composite GRP materials to optimize them for durability and long life. 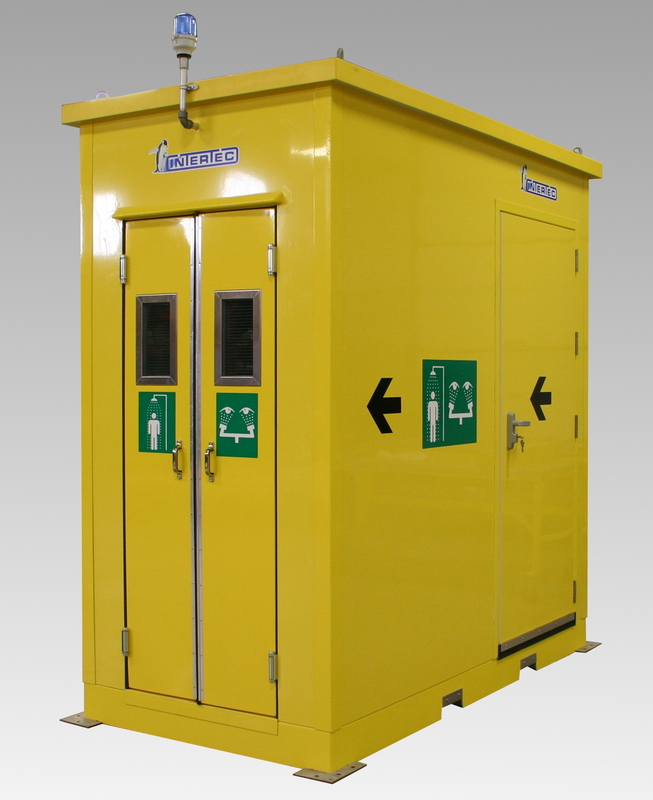 Two main shelter options are available, with enclosed square or rectangular shaped ESS showers of 122x122 or 122x244 cm (4x4 or 4x8 feet). The square format is ideal for outfitting as an emergency shower and eyewash station that can draw tempered water from a locally available source. The larger rectangular ESS provides additional space to accommodate a water storage tank and heating facilities. The special materials in the construction of these shelters are fabricated by Intertec and have been field-proven to offer advanced performance in the most extreme outdoor conditions. Many further outfitting options may be selected to suit particular application requirements. These include a choice of piping materials, drain locations, tank sizes, control and safety valves. Electrical options include variants for general purpose use or in Class 1 Division 1 or 2 hazardous areas with alarm options, internal heating, and more. Custom shelter sizes and designs are also available, and Intertec can vary the composite layered construction of the panels used to optimize shelters for the most extreme climate and application conditions. All Intertec ESS units meet ANSI Z358.1 2014 and OSHA standards.